SAUGERTIES — In the Gladiators first game of the season, they took the infamous hour-long drive to Saugerties and won 59-53. Grit was the key throughout the hard-fought win. It was an offensive struggle throughout — neither team surpassed 60 points. The second half was much different than the first when Goshen led 40-25. The defense was tighter and points weren’t as easy to come by. Goshen felt good about their first half performance but Saugerties came out of the locker room ready for a competitive game. In the third quarter, the Gladiator lead was as low as two, but they forced a few steals that gave them a 53-47 lead at the end of the third quarter. Giordano finished with 13 points on 5-of-9 shooting. He also added four rebounds and five steals. After school, he went to GymRatz Performance Center with senior forward Eric Romero and junior guard Korey Hawkins. They were able to take lots of shots before the long bus ride to the game. Romero came off a lackluster performance in a preseason scrimmage last week against Middletown. He took advantage of his playing time against Saugerties, knocking down four 3-pointers, and finished with 13 points. The team gelled well together in their first game of the season. The Gladiators only lost four seniors from last season. Their chemistry and unselfishness was noticeable as the scoring was balanced. Standout senior guard Zack Foley notched his first double-double of the season with 14 points and 11 assists. Giordano, Romero and junior center Aaron Wright added 13 points apiece. Newcomer Tom Colgan started his varsity career strong finishing with 4 points and 14 rebounds. As the season progresses, this promising Gladiator team has all the tools to make a big run in Class A. They need to keep momentum when gaining an early lead, and finish each quarter strong. 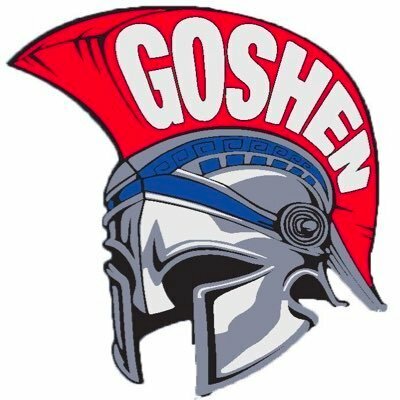 Transition defense will be a point-of-emphasis on Goshen head coach Mike Tangney’s mind as they look to claim a win in their home opener Friday versus Liberty.